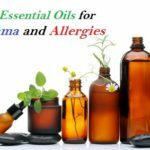 If you have ever suffered with asthma, or from allergies very similar to asthma, you’ll know how difficult, uncomfortable, and sometimes, downright miserable, life can be as a result of your condition. Asthma is a surprisingly common long-term disease that affects millions of people all over the globe. There’s a lot of medical science and biology involved when it comes to asthma, and while we won’t go into incredibly great detail, we will cover the basics. Asthma is a condition whereby the airways become inflamed and swollen, and so they expand in size. As they have expanded in size, they tighten whenever anything irritates them. Common asthma triggers include allergens like dust mites, pet dander (hair), dust, and more. When the airways have tightened they become constricted and narrower, so it becomes much harder for a person to breathe in. This can result in wheezing, coughing, shortness of breath, and tightness of the chest. Believe it or not, but one of the most common triggers for asthma is sleeping with the wrong pillows at night. That’s why, for today’s article, we’re going to be looking at how choosing the best pillow for people suffering with asthma and allergies can help them relieve their symptoms. How Can Your Bedding Make Your Asthma Worse? What Kind of Pillows Are Good for Allergy Sufferers? Foam Vs Feather Pillows: Which Is The Best Pillow Filling For Allergies? How Often Should You Wash Your Pillows If You Have Allergies? How Often Should You Replace Bed Pillows If You Have Allergies? Why Pillow Covers For Allergy Sufferers Are Important? As you probably know, dust is all around us. In fact, those of you that are responsible for cleaning the home will know just how much dust is in the air we breathe every single day. All of this dust floating in the air has to go somewhere, and while it may seem like the vast majority of it winds up on your windowsill or mantelpiece, a great deal of it actually ends up on/in your bedding, especially the pillows. Did you know however, that technically it isn’t the dust that triggers these allergies at all? Now, it may sound disgusting, but usually it is the tiny, microscopic dust mites living in the dust that are responsible for these allergies. To make matters worse, it is actually the droppings of these dust mites. Yuck. These dust mites thrive in fabrics like those used to make pillows, as well as duvets and mattresses. Some people may also find themselves allergic to animal feathers, such as duck feathers, which are commonly used in some pillows to make them nice and soft. The most common trigger for asthma sufferers however, is the dust mites which may be living in your pillows and duvets. Getting a good hypoallergenic pillow is therefore the best solution to get rid of your problem. As such there is wide range and variety of pillows available for those who suffer from allergic conditions. These pillows can help in reducing (or completely eliminating) the dust mites from your room, making you live allergy-free life. While finding a good pillow for asthma and allergy sufferers, the two most common types you may come across in the market are: hypoallergenic pillows and anti-allergy pillows. Hypoallergenic basically means that the pillow or pillow material is less likely to trigger the allergies in patients. Anti-allergy means that the pillow or pillow material has been treated in a way to prevent the growth of dust mites. Both of these offer good protection against the allergens (dust mites) and can be chosen according to your personal preference and filling it contains. If you love to have soft pillows, there are options like down, cotton or wool pillows. Wool and cotton are mostly preferred as these are naturally hypoallergenic, healthier and breathable. If you are allergic to wool, cotton or down OR if you want to have bit harder pillow you can go for latex pillows. As these are anti-microbial and mildew resistant, it helps in keeping the dust mites away. Hollow fiber pillows also help in preventing the dust mites and are therefore many times recommended by allergists for allergy relief. So, when it comes to getting a good night’s sleep, and indeed, for promoting optimal health and well-being in general, you will need to decide which pillow to invest in. In the past, pillows stuffed with feathers were all the rage, but lately, there are a lot more memory foam-based pillows currently on the market. So, which is the best pillow filling for people suffering with allergies? Well, as we mentioned above, some people out there happen to suffer with allergies associated with feathers. You see, down feathers not only contain allergens from the birds they come from, because of their structure, they have a large surface area, which is perfect for collecting dust, and therefore, dust mites. Plus, some of them even contain microscopic traces of pollen and other miniscule allergens which may have found their way into the feathers. Even the tiniest trace could exasperate a person’s allergies, which is why feather pillows are generally not encouraged for people suffering with allergies. The good news is that many foam pillows out there are hypoallergenic, which means that they are free from any allergens. Memory foam pillows for example, are hypoallergenic and very comfortable, so they will allow you to get a good night’s sleep, without having to worry about your airways starting to close up. These pillows contain synthetic down which are often encased in fabric which has been specially designed to offer 100% dust mite protection. They often feature incredibly tight micro-weave designs, which prevents dust from collecting and prevents the dust mites from being able to burrow inside. Okay, be honest now, how long ago was it since you last washed your bed pillows? What’s that, you’ve never actually washed the pillows, just the pillow case? Don’t worry, you’re certainly not alone. You see, in the past, pillows were not really designed to be washed in the washing machine, so people didn’t. Nowadays more pillows can indeed be machine-washed, but again, not everybody bothers. Pillowcases do indeed offer some protection to the pillows, at least against sweat, and anything else that may have come from your head when you slept. The problem is that pillowcases are often made from cotton, which although is nice and soft, is also very permeable. This means that sweat, oil, skin, hair, and other common allergens can easily permeate their way into the pillow. If you suffer with allergies, it is very important that you regularly wash your pillow, even if you have a protective cover and have a hypoallergenic pillow and pillowcase. According to experts, you should wash the pillowcase at least every three weeks, and the pillow itself should be washed every three months. If you suffer with allergies, a hypoallergenic pillow and protective cover will certainly help ensure that your pillow lasts longer and offers a greater deal of protection against common allergens, before it needs replacing. However, the time will come when it does need replacing, the only question is when. Everyday individuals that are not affected by allergens, are encouraged to replace their pillows every two years. Those that suffer with asthma and similar allergies however, should replace their bed pillows every single year. Replacing your pillow regularly will ensure that dust mites, and other common allergens and allergy triggers, are removed from your home so you can sleep soundly. Not only is choosing a hypoallergenic pillow important for when you suffer with asthma, it turns out that a pillow cover can also make a very big difference and can improve your quality of life dramatically. Here’s a look at a few key benefits associated with pillow covers, especially when it comes to allergies. Blocks and prevents allergens – Okay, this is pretty-obvious, but we’re starting with it anyway. One of the most important benefits of a pillow cover for allergy sufferers is the fact that they can block and prevent allergens. Pillow covers are specially created by utilizing tightly woven fabrics. Because the fabric is so tightly woven, it means that there are virtually no gaps between the fibres so dust, dust mites, pollen, pet dander, and other common allergens are unable to squeeze their way into the pillow. Best of all is the fact that they are also very durable so they are hot water washable, and can withstand very hot temperatures. 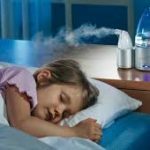 This is great because hot water is very effective at eliminating allergens, which is why allergy experts recommend washing your bed linen at temperatures of at least 130 degrees F.
Keep the pillow cleaner – When we sleep at night, we likely sweat slightly, we may drool a little, and we will shed our skin. Did you know for example, that the majority of household dust is actually made up of dead skin? All of the aforementioned things have to go somewhere, and more often than not, they are absorbed into the pillow. This is hardly hygienic, especially as a lot of pillows are not machine-washable. A pillow cover however, will protect the pillow and prevent your sweat, drool, skin, and anything else, from penetrating the fabric and being absorbed by the pillow. The covers are easy to remove, they can be washed at high temperatures, and they therefore help to protect the pillow and keep it cleaner. Convenient – Having hypoallergenic pillows, along with pillow covers is all well and good at home, but what about when you’re not sleeping in your own bed? Many asthma sufferers experience a severe flare up of their symptoms when sleeping in another bed, because of the allergens found in the pillows of the bed they’re sleeping in. The great thing about the pillow covers we’re looking at today, is the fact that they can easily be removed, they’re incredibly light, they can be neatly folded and packed away, and so they can be taken anywhere, and used on any pillow to help control and prevent asthma flare-ups. Protect the pillow – Overtime, the oils, skin, and fluids that leave our bodies and enter our pillows can cause the pillows to degrade and become worn down. This means that pillows become hard, itchy, and generally more uncomfortable. Using a pillow cover will protect the pillow however, leaving it to stay fluffier and more comfortable for longer. This means that you are guaranteed to get a better night’s sleep, plus you’ll be more comfortable in the process. Is Snoring (Or Problems Like Sleep Apnea) A Sign Of Asthma? Can GERD or Heartburn Cause Asthma?